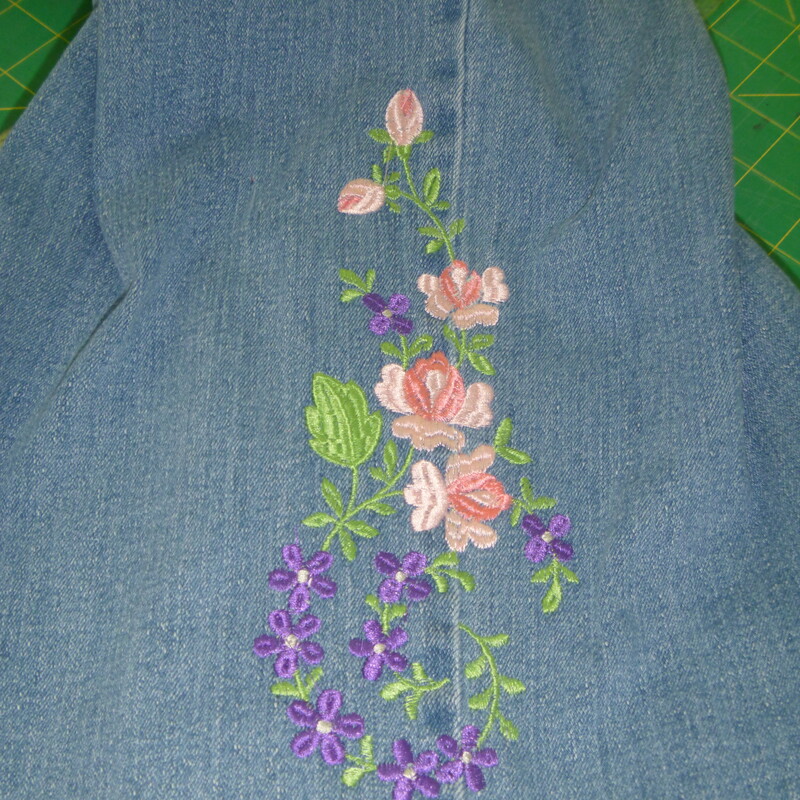 New jeans call for new embroideries. So that’s what happened today. 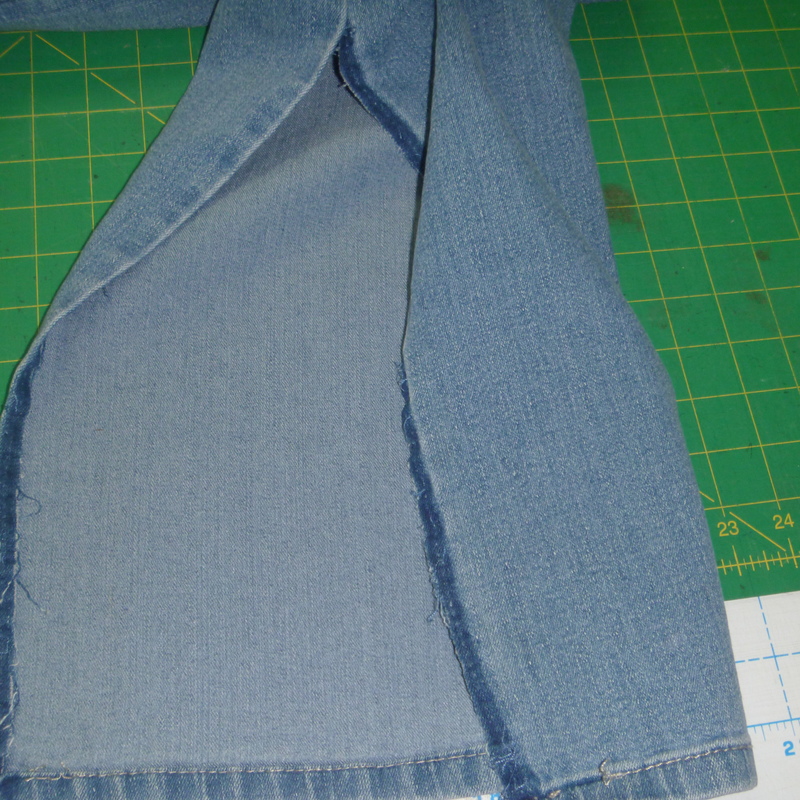 I first removed the inside seam as far up as I needed to lay it flat. Since I wanted the design to be only slightly to the front and over the outside seam, I checked to make sure the design was lined up that way and without wrinkles. 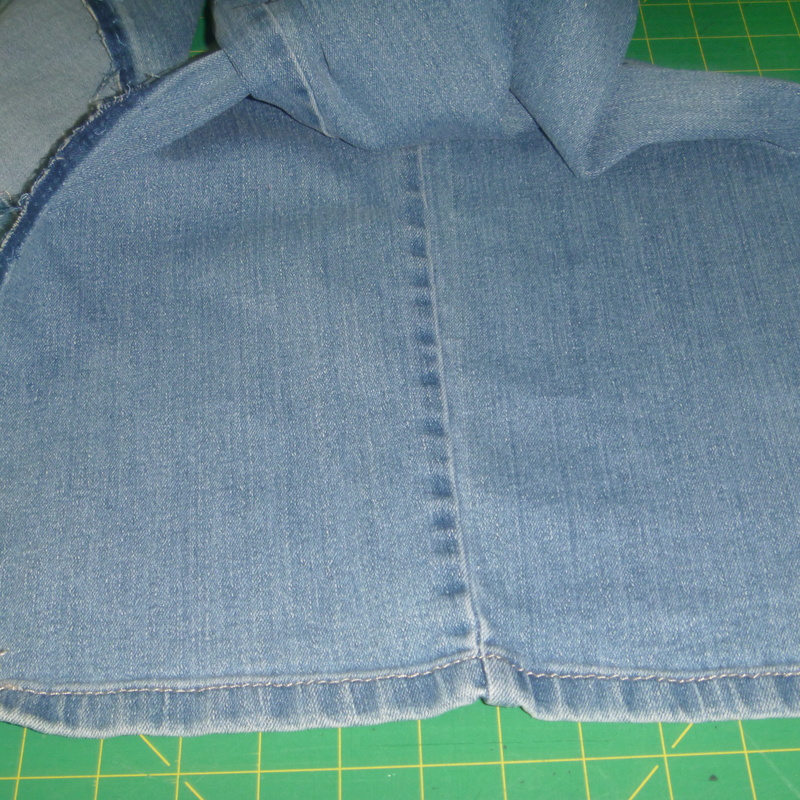 I hooped cut away stabilizer and then sprayed sticky 505 so that the jeans would adhere to the stabilizer while stitching. 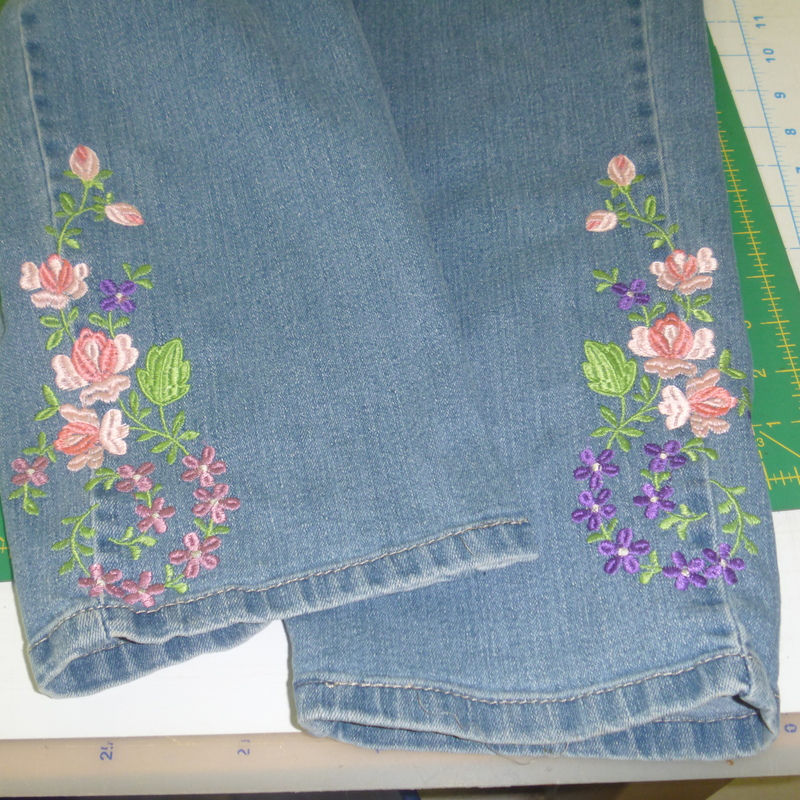 I also pinned the jeans to the side of the stabilizer just inside the hoop as they are heavy and could fall off the machine. Then I altered the design to fit the area. I really like Zundt designs. They are beautiful with adequate coverage while staying soft. I liked the way the first one turned out well enough, I decided to just reverse the design for the other leg and I also did change one of the colors for fun. Here they are with the side seam sewn back up, hemmed and ready to wear.